Sony is a well-known company worldwide for the technological advancement they throw in with every product they make and put out in the market. They’re all over the place – from televisions, smartphones and laptops, to game consoles. Being the pioneer of portable music ever since the Walkman, Sony also ventured into the headphones market. 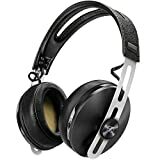 One of their top products is the Sony MDR X10 X-Series Headphones which is up to par with Sony’s plated name of quality and innovation. Simon Cowell himself recommends these headphones, so what’s not to hate right? Let’s take a recap about it. The Sony MDR X10 X-Series is one of the high-end headphones that’s out in the market. This pair of headphones is lightweight and portable. With its sleek foldable design, you can use this pair for work or even take it out when you travel. It even comes with its own case to put when not in use. You’ll be able to enjoy listening to music with the Direct Vibe Structure feature that enables the Sony MDR X10 to give superiority to clear, detailed, and crisp audio. These pair of headphones is ideal for listening to a wide variety of genres such as pop, RnB, hip hop, and rap music. Vocals are given emphasis and appreciation with the Sony MDR X10. While it provides quality sounds, the Sony MDR X10 also provides quality comfort. With the wide ear pads made out of premium material, putting on these pair of headphones is like listening music through clouds. It also features a removable cable that has an inline remote that lets you control music play, volume and calls. Since cables can malfunction overtime quicker than the headphones itself, this small gesture of making the cable removable makes it worth the money on having to only get a new cable instead of a new pair of headphones. Bass lovers, the Sony MDR X10 are the headphones you’ve been looking for. They deliver a thunderous and hair raising level of low-end, and even at top volume, the music does not distort in any way. Summarizing all we’ve learned from this review, when Simon Cowell recommended these headphones, he knows what he’s talking about. Despite being pricey compared to its competitors, the Sony MDR X10 X-Series definitely puts up a fight. With its sleek and portable design, and its ability to produce amazing sound quality for various genres of music, you can’t go wrong with Sony. 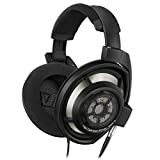 If you’re looking for headphones that would give you incredible and quality sound, give these pair a try.